Buy online 100 sq. ft. 3.625 ft. x 27.5 ft. x 0.08 in. Soft Stride Sound Reducing Cushion Underlayment 70-185 and leave review or share with Your friends. Roberts Soft Stride 100 sq. ft. roll is a dense foam underlayment that provides excellent sound reduction under laminate and engineered flooring. The closed cell foam design provides excellent moisture protection and fights against mold and mildew. The 3 in. 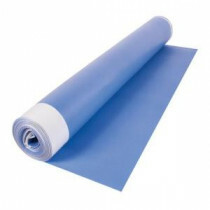 overlap film helps seal out moisture and easily attaches to adhesive strip.